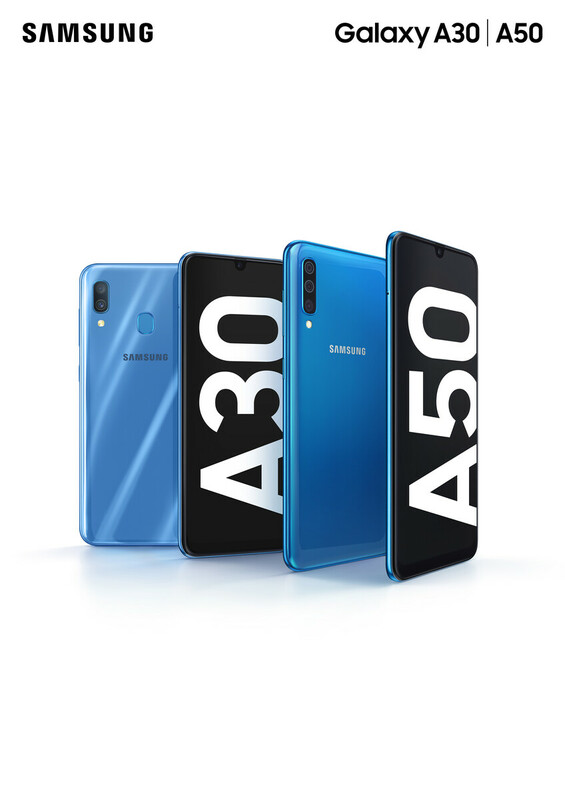 Samsung today announced the retail availability of three new devices in the Galaxy A series – the Galaxy A10, A30 and A50. Combining affordability, versatility and enhanced everyday features, the new additions to the Galaxy A line-up bring together a holistic smartphone experience for consumers. Sporting a versatile triple-rear camera, the Galaxy A50 gives users not one, but three ways, to take stunning pictures, complemented by its Main, Depth and Ultra-Wide Angle lenses. In addition, the Galaxy A30 and A50’s Scene Optimizer function1 utilizes Artificial Intelligence (AI) to accentuate and balance colours in image backgrounds, enabling users to capture professional, high-quality pictures. With the 6.4-inch2 FHD+ Super AMOLED Infinity-U Display3 on the Galaxy A30 and A50, users can enjoy the ultimate immersive cinematic experience on the devices. Boasting a 3,400mAh battery4 on the Galaxy A10, and a 4,000mAH battery4 with fast charging5 capabilities on the Galaxy A30 and A50, the new devices offer users the freedom and versatility to do more with long-lasting usage. In addition, the Galaxy A50 is equipped with an on-screen optical fingerprint sensor6, while the Galaxy A30 comes with a rear fingerprint sensor, giving users secure and convenient authentication options to unlock their devices seamlessly. The Galaxy A10 (32GB7), A30 (64GB7) and A50 (64GB7) also support microSD cards, giving users the option of expandable storage capacity8 of up to 512GB to store their treasured memories without ever having to worry about running out of space. 1 Accuracy of Scene Optimizer may differ depending on shooting conditions, such as number and movement of subjects, type of scenery, light conditions and focus. 3 A near bezel-less, full frontal glass, edge-to-edge screen. 4 This is the typical battery capacity, which refers to the estimated average value and is tested under third-party lab conditions. Rated (minimum) capacity is less. 5 Fast charging requires use of a compatible Fast Charging Adaptive Charger. 6 On-screen fingerprint sensor is confined to the designated sensor area. 7 Actual user-accessible internal memory is less than specified total memory due to storage of the operating system and software used to operate the device features, and other built-in applications, and may vary after software updates/ upgrades.